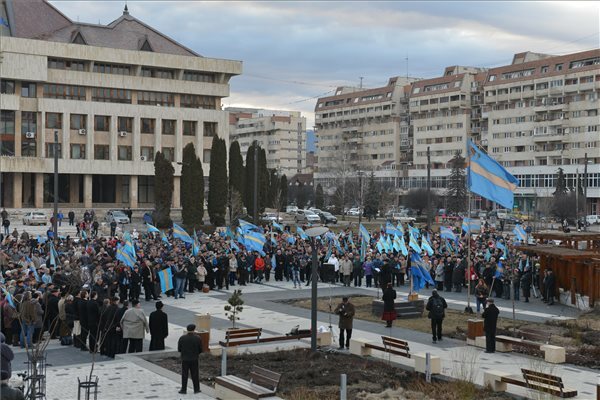 A peaceful commemoration was organized in Marosvasarhely (in Romanian: Târgu Mureș), protest were organized throughout Szekelyfold on the occasion of THE Szekely Freedom Day, mno.hu says. 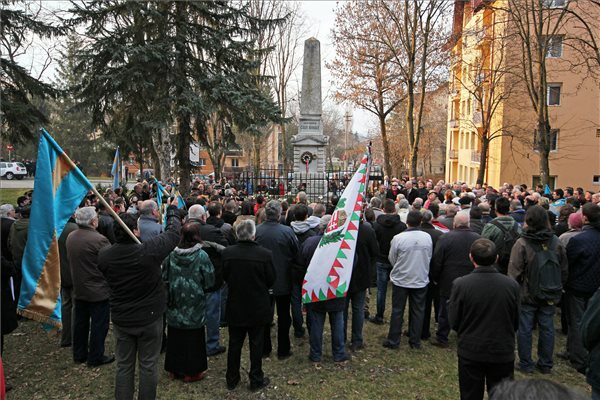 About a half thousand people gathered at the Marosvasarhely Szekely Martyrs memorial on Tuesday, to pay their tribute before the executed leadears of the anti-Habsburg conspiracy 161 years before. 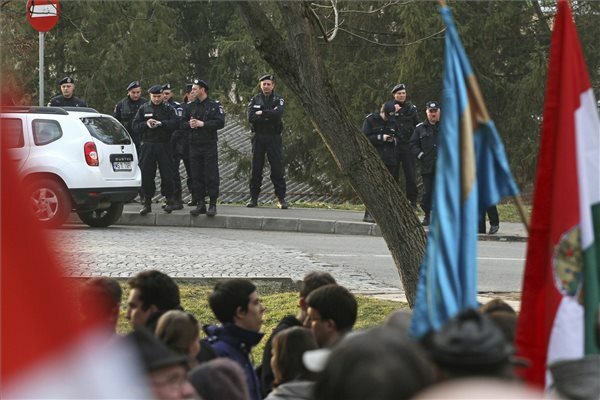 After the city’s mayor banned the pro-autonomy march initiated by the Szekely National Council (SZNC), the councils of SZNC organized protests in several other settlements in Szekelyfold. Deputy faction leader of RMDSZ (Democratic Union of Hungarians in Romania) raised his voice against the restriction of the right of assembly in Bucharest. 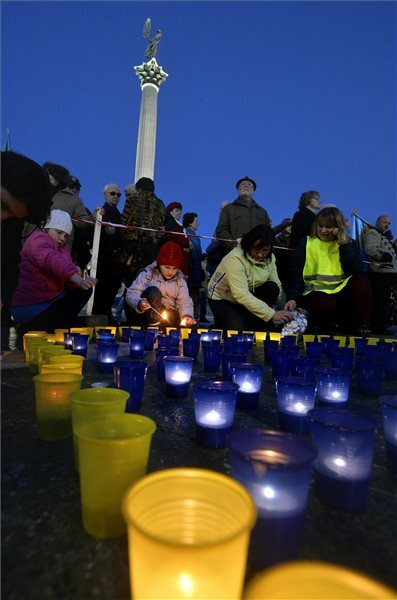 On Tuesday afternoon, people placed candles and flowers at the monument of the executed Szekely leaders and sang Kossuth-songs in Marosvasarhely. 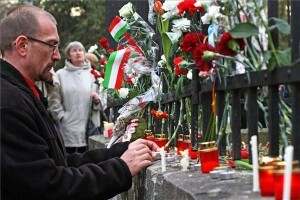 In the memory of the martyrs, Csaba Kecskes Unitarian minister said a prayer. According to mno.hu, SZNC would linked the commemoration with the demonstration demanding autonomy, but Mayor Dorin Florea banned it. 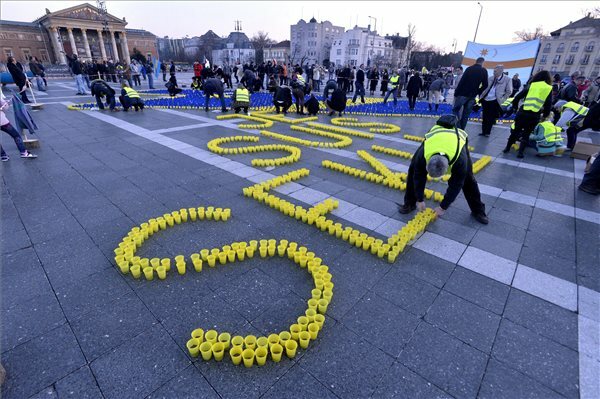 Balazs Izsak, president of the SZNC said the Romanian authorities try to show these efforts as a matter of law enforcement because of the possible affrays before 24. March, when the Congress of Local and Regional Authorities – operating in the European Council – will discuss about the pro-autonomy decisions of the local governments in Szekelyland. 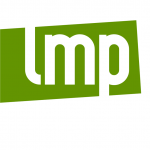 He invited every party leader to the press conference, but only Zsolt Szilagyi, president of the ransylvanian Hungarian People’s Party (EMNP) attended the event. Instead of the banned Marosvasarhely event, Szek councils organized protests in Sepsiszentgyorgy, Barot, Csikszereda, Firtosmartonos and Gyergyoszentmiklos, where the participants addressed a joint petition to the Romanian authorities demanding territorial autonomy and protesting against the restriction the right of assembly in Marosvasarhely and the prosecution of the Szekely symbols, mno.hu says. The document, which was addressed to President Klaus Johannis, says Szekelyland’s autonomy does not violate the territorial integrity of Romania, but it commits the majority of the public affairs to the elected boards of the community. However, if instead of the recognition of Szekelyland as an independent region, Bucharest integrates it to a larger unit, Romania would violate a lot of international commitments. Zoltan Gara, president of the Sepsi Szekely National Council said: these initiatives were organized by the local councils. 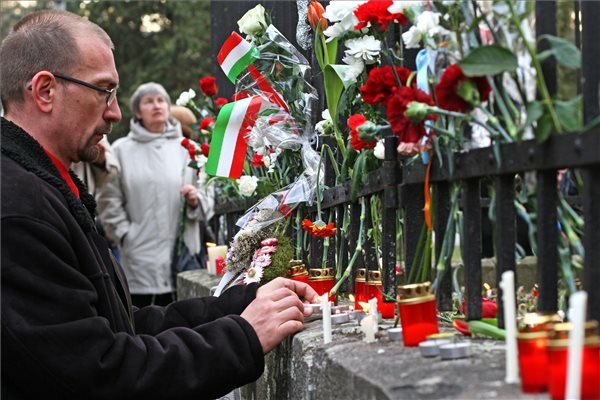 There were places where partner organizations also joined, but Csikszereda was the only place where every Hungarian organization – including RMDSZ (UMDR) – openly defended the protest. 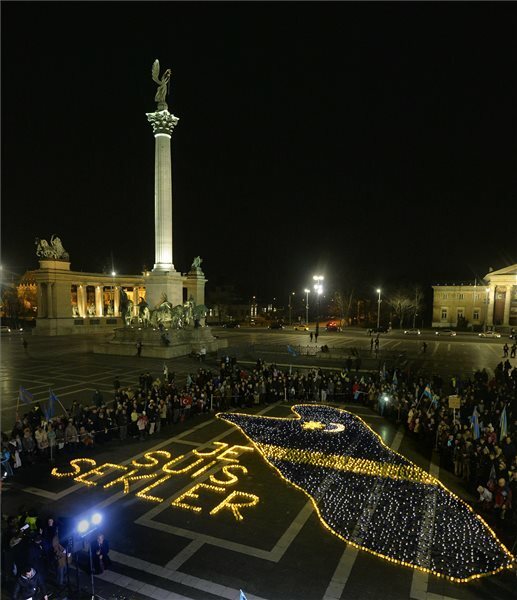 In the Heroes’ Square, in Budapest, Szekelyfold Company commemorated in the anniversary of the1854 execution of the Szekeyl martyrs, on Tuesday evening. 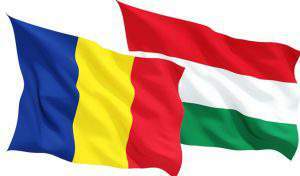 The participants adopted a petition asking Romanian Prime Minister Victor Ponta to begin negotiations immediately with the representatives of Szekelyfold about the administrative status of the region, mno.hu says. 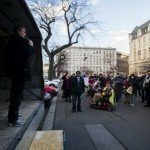 The 500 people, who gathered in Budapest, expressed concern that the mayor of Marosvasarhely banned the protest against the administrative changes.